This is a pretty epic portrayal of a skeleton pirate king, complete with goblet (other sources say that it’s an hourglass, but I’d like to think it’s a rum goblet). Perhaps this could be an early depiction of cupid, as he is trying to put a spear through a heart. Apparently this signified that no mercy would be given to any captive. Blackbeard was some badass. Legend has it that he would put smoking fuses into his hair and beard to make himself look demonic and strike fear into those he wished to attack. Bart’s first flag showed that time was running out for his victims with the pirate and skeleton both hanging onto an hourglass (again, I like to believe it’s a goblet fit for all the booze a pirate can handle). Bart captured approximately 400 ships in his three-year career as a pirate, which is a long tenure during those times. This one has Bart standing on top of the heads of captains from his two least favourite ports, Barbados and Martinique. 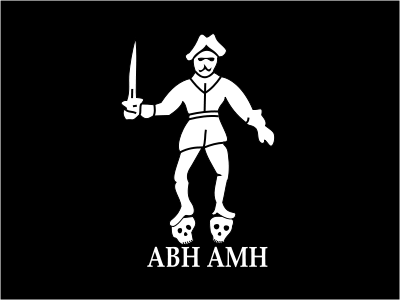 The ABH stood for “A Barbadian’s Head”, while AMH was “A Martinico’s Head”. Bart treated seized ships and their captains and crew from these ports especially bad because their colonial governments were always after him. 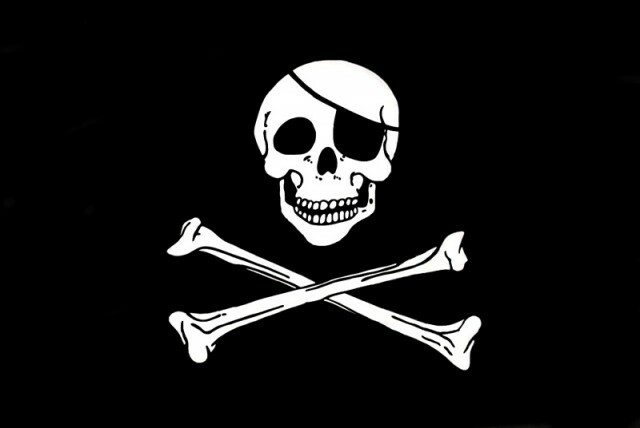 This is the pirate flag that most of us recognize, thanks to its popularity in modern media. 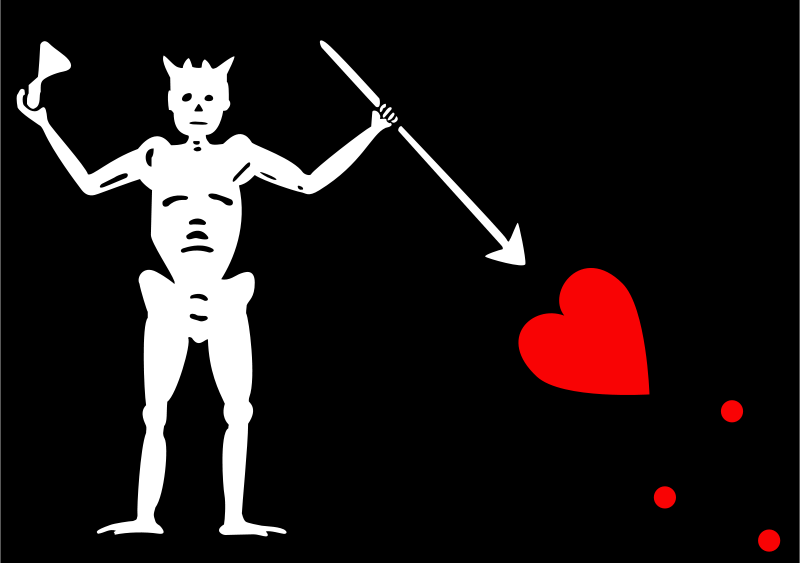 Ironically, Jack wasn’t a very successful pirate captain, but he is remembered for allowing women to join his ship (although the harlots totally betrayed him) and, of course, for this flag. 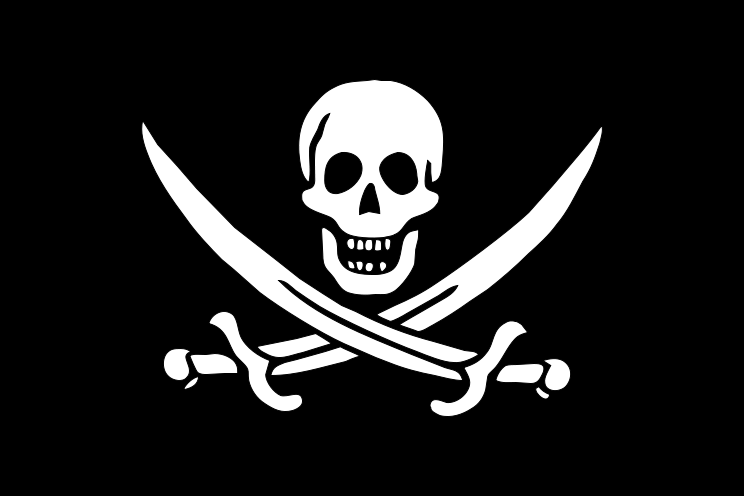 The skull over crossed cutlasses has largely been recognized as the most common flag and now represents all pirates to some degree. I had to include our good friend, Captain Morgan, whose rums have always been stocked at the Sip Advisor headquarters. Morgan used the classic “skull and crossbones” flag, but with the added twist of the skull wearing an eye patch. Why he did this, isn’t entirely clear. It’s not like he wore a similar patch and the skull was meant to depict himself. Morgan was so successful that he was able to retire from piracy and became Lieutenant Governor of Jamaica. 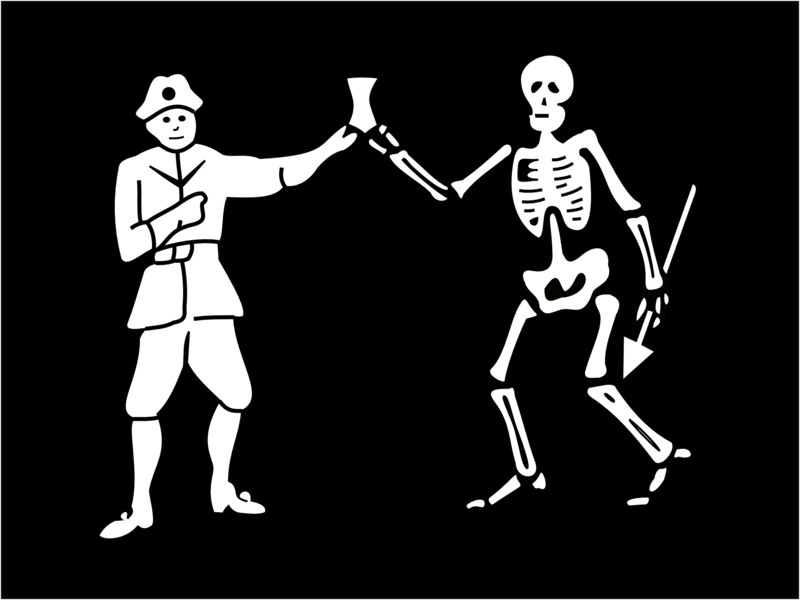 If I had ever been granted the luxury of being a pirate, my flag would have depicted a bottle of rum being poured into the open mouth of a smiling skull as the skeleton was giving a thumbs up gesture. Damn, I would have been one rockin’ buccaneer! I’ve been wanting to play with Fruit Punch for some time now and I’m glad I finally had the opportunity. It’s a hell of a mixer, tasting so good and refreshing… perhaps my favourite of all the fruit juices. I’m a little surprised with a drink called Swashbuckler, that Tequila was the featured alcohol, over Rum, but whatevs. 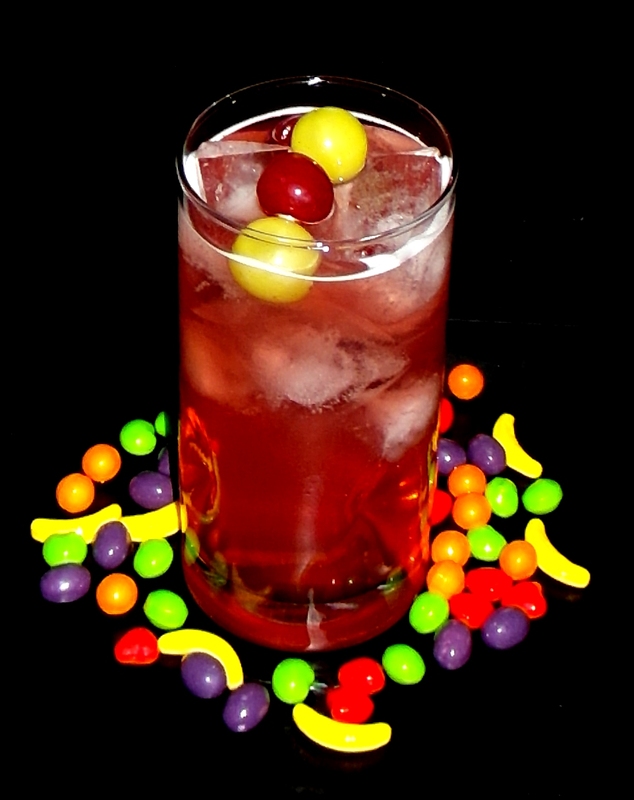 This entry was posted in Crazy & Classic Cocktails and tagged A Pirate’s Life for Me, Arizona Fruit Punch, Barbados, Black Bart, Blackbeard, Calico Jack, Captain Morgan, eye patch, Grand Marnier, green grapes, Henry Morgan, hourglass, Martinique, Red Grapes, Runts, skull and crossbones, skull and cutlasses, Swashbuckler, Sweet & Sour Mix, tequila by Daniel Wilson. Bookmark the permalink. I wonder how it would taste substituting rum for tequila? I’ll have to give that a try sometime… maybe call it a SWISHbuckler!